In 1989, Alco suffered a severe back injury that had his doctors questioning whether or not he would ever walk again. 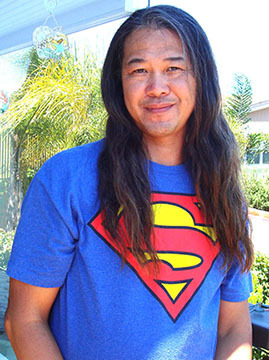 A year of physical rehabilitation resulting in a miraculous comeback is what inspired Alco to become a physical therapists and a practitioner of the healing arts. After my successful rehabilitation, it was my desire to share what I had learned. And give back to others... an opportunity to heal and restore their quality of life. In 1998, Alco graduated with a Master’s Degree in Physical Therapy from the University of Medicine in New Jersey. In 2001 I founded my own Physical Therapy Clinic – Alco Physical Therapy. In 2003 I became recognized by the AMA as a low back and hip specialist. In 2005, I founded Tension Tamers - a company specializing in the development and implementation of on-site wellness and injury prevention programs. 2009, Taught classes at the Institute of Conscious BodyWork, Alive & Well in Corte Madera, CA. Now, I’m an approved provider of continuing education for the American Physical Therapy Association & the National Certification Board of Therapeutic Massage & Bodywork. I teach Body Optimalization and other courses which i have developed. Visit Workshops for a list and full description of my workshops. I am now in my 18th year as a licensed Physical Therapist , Body Worker & Massage Therapist here in the Bay Area. In my years of practice, I continued to study various forms of healing – both Eastern and Western. 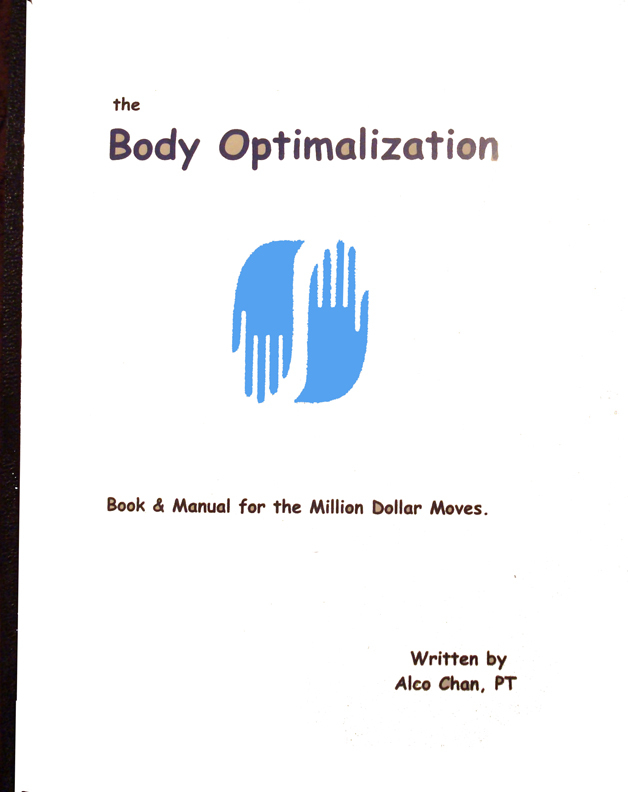 My style which i call BODY OPTIMALIZATION, is an eclectic combination of eastern and western principles of healing. It is artfully specialized to the needs of each individual client . In summary, what each client receives from me is a complete postural analysis followed by a whole body massage and structural integration designed to bring the body back into balance. As a classically trained physical therapist I am uniquely qualified and experienced in reading the movement and skeletal-muscular patterns of each individual body. Working holistically to release deeply habitual tensions allows my clients an opportunity to fully express themselves again through movement. Indeed, many professional athletes, dancers, performers, and others body workers – all of whom rely on physical strength, enhanced flexibility, form and function– have benefited greatly from my work. In 2014 authored his first book, "BODY OPTIMALIZATION" a book and manual for the Million Dollar Moves. To purchase please click on the Services tab.